1) Try to book your flights around nap time or bed time. A seat must be booked for at least one but preferably both of the children, as one parent cannot hold two children on his or her lap. This will require you to call the airlines for booking the flight instead of booking online. (Most airlines will not allow you to book 2 children under 2 online as it is a special reservation.) I suggest bringing a carseat for both kids to keep them secured in their seats during the flight. 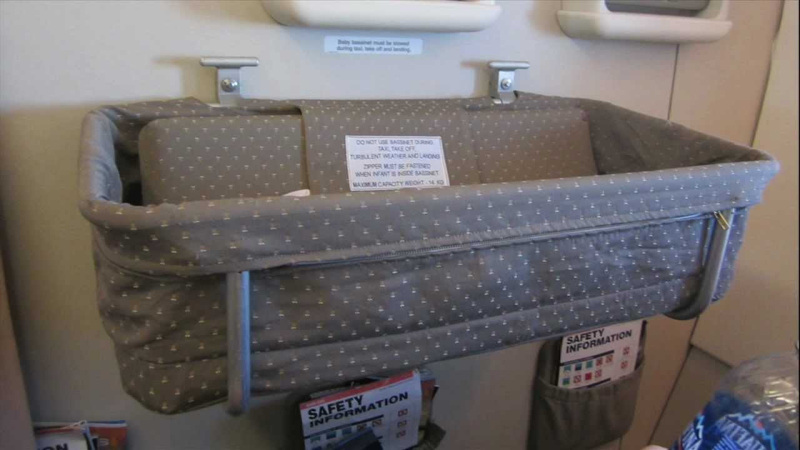 You can check-in one of the car seats (the one for your infant or youngest child) and carry on the car seat for your toddler or oldest child to use on the plane. 2) Once your flight is booked, reserve a baby bassinet for your infant (if available) and request a kid’s meal option for your tot to eat on the flight. 3) Buy new toys and snacks to keep your children busy and satisfied. Keep the toys a surprise until the plane takes off! It will give busy hands something new to do. 5) Leave for the airport at least 3-4 hours in advance with 2 under 2, especially if you’re flying internationally! This gives you an ample amount of time to get through security, change diapers, take care of feedings, and get yourself and the kids settled before a long plane ride. 6) Babywear! Again, you want to keep your hands free, so put them in a baby carrier! Personally, I like to baby wear my infant and push the double stroller containing my toddler on one side and my diaper bag/carry on sitting in the empty seat, along with the toddler’s carseat. You should consider using a Carseat Travel Cart to roll your 2-year-old and his/her carseat in while wearing your infant and then simply renting a stroller once you arrive at your destination. 7) Stay calm and feel free to ask for help from airport and airline personnel. If you find it’s becoming too hectic and difficult to get to your gate on time, ask personnel if someone is available to guid you to your gate with your children. Airline stewardess’ can also be helpful while in flight; if you need to take a washroom break, for instance, ring the stewardess and ask if s/he can keep an eye on your children for a brief moment. 8) Bring birth certificates, passports, ID’s, and other important documents. Be sure to have them readily available during check-in and while passing through security. Some countries insist that you bring a marriage certificate or partner registration. You may also be asked to present a letter from your partner showing his/her approval of your travels with the children. 9) Get plenty of sleep the night before. It’s likely you won’t sleep or get to rest much on the plane, even if your children are sound asleep. 10) Remember that this too shall pass. Take a deep breath and try to remain stress-free and enjoy your trip. You will arrive at your destination before you know it!